After my last high-end -design-to-real-life post, I had several requests for more. So, this time I’m taking a stab at recreating a room by one of my favorite designers, William McLure. For the record, I could live in his rooms exactly as they are, but here are a few ideas for recreating (and somewhat toning down) this red, white and blue living room for “real life”. 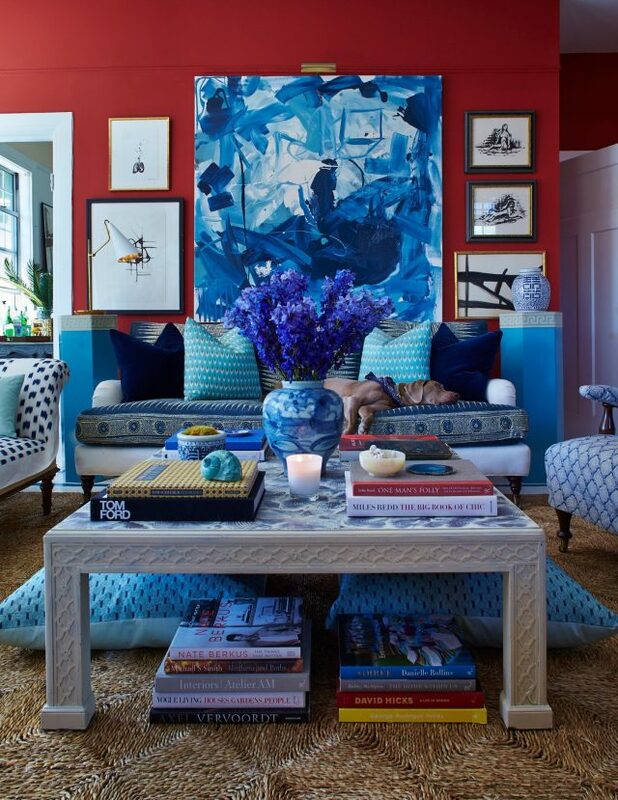 I love, love, love the blue pedestals. Do you know where I might find them? Hi Emily – Love this! I was curious, do you have any framing tips? I actually won the Furbish giveaway of one of his works from their pop up shop and am dying to get it framed. Do you think matting it ? Or what? I’m obviously not well versed in framing artwork other than the kids stuff! Thanks for your feedback! Love the blue and white polka dot chair! Love! Is there a source for it – although I already know it’s out of my budget. Love these posts :) Thanks, Emily! I am loving these so so much! you nailed it, of course!